Most people don’t understand the new rules on alternative minimum tax in the new Tax Cuts and Jobs Act. (Most people didn’t understand alternative minimum tax before the new rules, so what’s new?) The new Trump laws on alternative minimum tax could make a big difference for you. The media has done a very poor job of giving the middle class information about how the new tax laws will help them. On December 22, 2017, the Trump signed the Tax Cuts and Jobs Act. Included in that legislation was a cut to the alternative minimum tax that directly benefits the middle class. The alternative minimum tax is a little more complicated than it sounds, because the exact point where it kicks in for you will depend somewhat on how you make your income. Is it passive (investment) income or earned income? Basically though, when a couple hit about $85,000 in income, their taxes after that amount were calculated using alternative minimum tax formulas. Your tax dude never mentioned that to you. His computer programs just spit out the amount of taxes you owed, and you were never told that you were paying taxes calculated under the alternative minimum tax rules to make sure you, as a fat cat, were paying your fair share. So a single making $200,000 would lose $19,825 of their AMT exemption amount. [(200,000 – 120,700 = 79,300) then (79,300 X 0.25 = $19,825)] Thus, the AMT would kick in for them at $34.475 (normal exemption amount $54,300 – $19,825 = $34,475). Once a single reached $337,900 in income, every dime of their income was taxed under the alternative minimum tax rules. They got hit hard! One of the main reasons that the middle class ended up being hit so hard by the old AMT rules was the numbers put in place in the 1980’s weren’t indexed for inflation. The amount of income you needed to be considered “rich” in the 80’s was a lot less than that required to achieve the same standard of living today. The new AMT numbers are all indexed each year for inflation after 2018. As is the case with almost all of the Trump tax laws, they disappear after 2025. A certain percentage of Congress has to vote yes to make a tax law permanent. Unless Congress makes the tax laws permanent (which isn’t likely to happen since the Democrats took back majority of the house), the alternative minimum tax will revert back to the 2017 rules and numbers at the stroke of midnight December 31, 2025, and believe me you will really feel that hit below the belt. 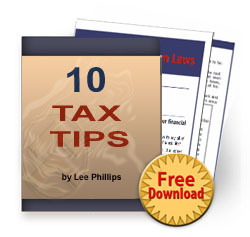 Want to learn more about the new tax laws and how they will affect you? We need to make sure that Congress doesn’t roll back the tax law, because it has a lot of neat things for the middle class. Most people haven’t heard of 199(a) which basically gives small businesses 20% of their profit tax free. My last newsletter covered that and we spent an hour on the new tax laws in our boot camp a month ago. Ben Rucker, who spent seven years as a special auditor in the IRS and is now working with me, redid his taxes from 2017 using the new 2018 laws and he would have saved over $30,000 in taxes had the new laws been in effect for 2017.Ben and I just finished the update to the new Advanced Tax Tactics 3.0. 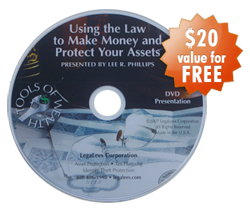 It goes into the changes you need to know about to save thousands on your personal and little company taxes. Are You Getting Our Tips on Email? What is a Disregarded Entity? These secret but fully legal loopholes will help you cut your taxes.